Spring is a romantic season full of the fragrance of flowers and melody of birds. Spring is like a beautiful fairy, wherever she goes, everything in the world revives.Flowers bloom, grass pop out its head, and the earth is alive. In the Spring people also take off the heavy clothing of winter, and dress lightly and simply. All kinds of accessories like, items with blooming flowers add an overall sense of Spring for people. The silk scarves we talk about today are not those scarves your grandmothers used to wear while doing housework. It is a kind of small square scarf that coexists with grace and nobility. So, don’t think that this small square scarf is out of date and only the older will choose to wear. In this imaginative era, don’t limit your imagination by the traditional thought about the silk scarves. Nowadays, silk scarves are becoming a kind of indispensable accessory of modern people with fashion. Silk scarves are really fashionable. But how to tie a silk scarf more attractive and charming? 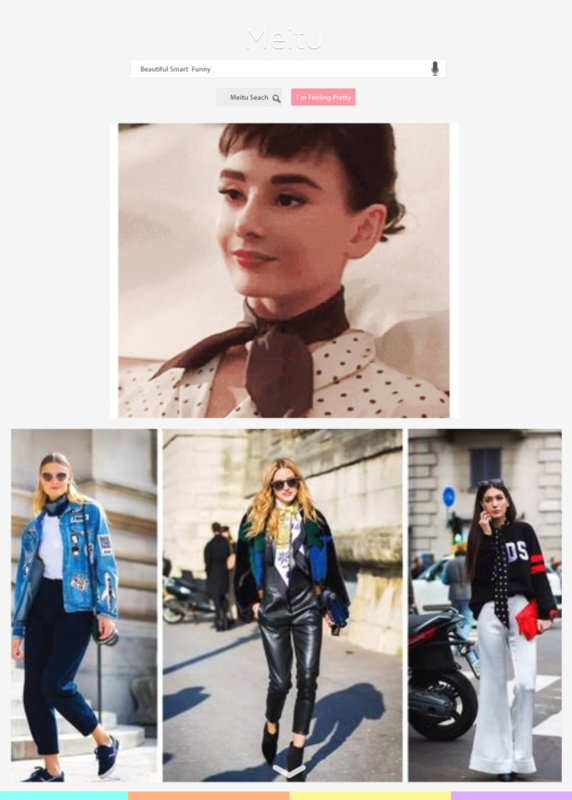 It is the most basic use to tie a scarf on the neck, but there are many kinds of methods to tie scarves, such as triangular method, collar,hang and so on. People can choose a way to tie their scarves according to the collocation of clothes. And the more advanced way to use these silk scarves is following the principle. 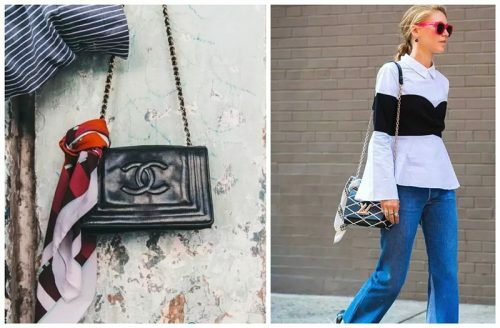 You can tie your scarf anywhere not just the neck, like tying it to your bags. If you are afraid of your classic bags duplicated, a silk scarf will help you ease the embarrassment. It is also a simple method: you only have to fasten the scarf to your bag strap. One small step to make your bag different and unique. 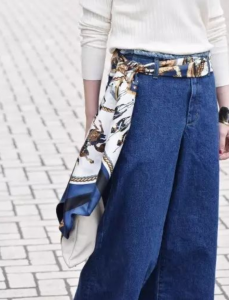 Furthermore, long silk scarves are very suitable for using as a belt. This kind of silk belts not only can perfectly obscure your small belly. But it can also highlight your body curve perfectly. Fastening a silk scarf on the head is also a common use. A new bright spot can be provided by wearing a silk scarf on the head according to your hair style, but the fastened method should match your hair style as well. Taking off the heavy winter wear, you can show your neck and shoulder without the fear of catching a cold in the warm spring breeze. 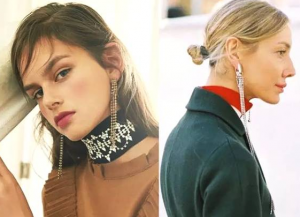 An exotic pair of earrings is the no.1 choice when you want to draw attention to your neck. It will make a person a little special to add a little detail in the warm spring. 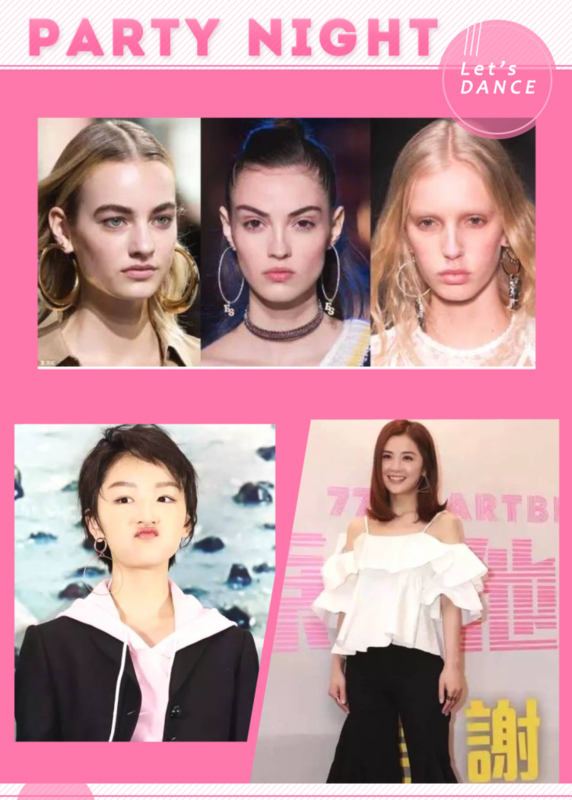 However, different earrings have different retouching effect, so we should select the earrings according to different face shapes, and then decide what suits you the best! 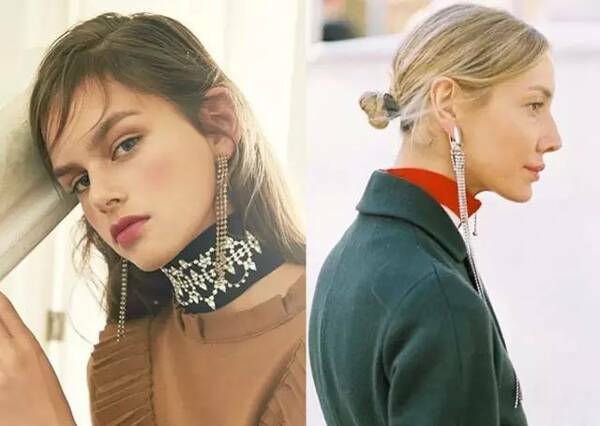 How to choose earrings according to face shapes? They can consider these hoops earrings. It can be used in almost all styles for its perfect matched features and it can also be referred to a trendy trinket that never goes out of date. Such kind of spherical ear-drop can be considered.The drooping sense of dexterity and globular round feel appear particularly delicate, and can retouch the face well. 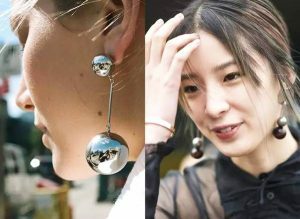 Finally, the girls with square face and round face can choose this kind of tassel earrings. The graceful and casual tassel elements are also used a lot by people. Spring is a time to show off your beautiful neck lines. For large neckline clothing, if there is no suitable necklace to support, it will make your neck seem empty. So, the necklace is very necessary. 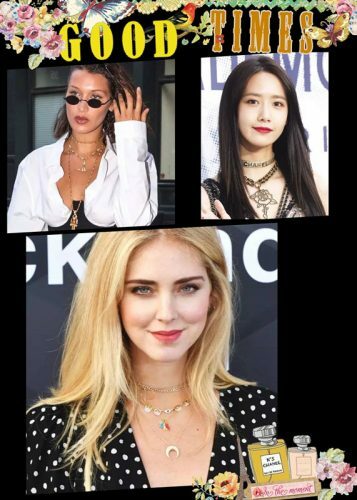 Choker, actually, is a kind of necklace, which is a particularly popular trinket in the last two or three years.And it seems that choker will continue dominated the accessory world for a long time. 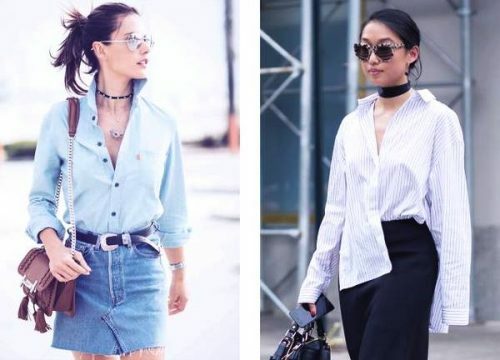 Chokers indeed look good on people, but it has its limitation like it is not suitable for the short-necked. 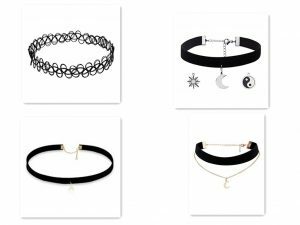 Because choker is usually hung at the middle of the neck, if you do not match the chokers well, they will make your neck looks shorter than it actually is. However, everything has a remedy. For people have relatively short neck, they can wear boat neck strapless dress, V-neck, bandeau top /dress, braces skirt to match the choker without sacrifice their neck length. Girls often can’t help being attracted by such accessories as finger rings. Girls just can’t refrain themselves from tryingthese exquisite finger rings when rows of finger rings are on view at the jewelry shop. If you want to wear finger rings with unique style, first you have to learn how to overlap to wear them. Together with overlapping necklace, the multiple wear of rings has always been popular. However, the first essential factor of overlapping is simplicity. Few mistakes will be made if you wear the rings for simple rings overlapped. And then, the best way is unified colors. 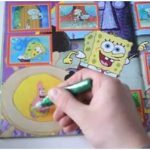 For example, wear all gold rings or sliver rings because it will be very confused if different colors overlapped together. The finger rings mentioned above are made of metal or other hard material.Although they are beautiful, they have their shortages.If you have outdoor activities or exercises, the finger rings with hard material is easy to cause some inconvenience to your activity. Because it is easy to scratch others or something else, therefore, it is not suggested that people who directly interact with children wear the finger rings. If you scratch children accidentally, it will cause damage. In addition, for some people are allergic to certain metals, they also can not wear such metal material ring. So, for those who like finger rings but can’t wear those metal rings, what alternative they have. The answer is silicone custom rings. 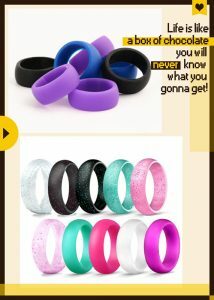 Here, this kind of silicone custom rings are recommendable. At the first, silicone material is soft and comfortable, so silicone custom rings have these features as well. You can wear them to any activity, any occasion without any bad effect. Secondly, this kind of finger rings are diversified in colors and styles, which can meet the needs of all kinds of people. Moreover, silicone materials are environmentally friendly and non-toxic, and will not cause allergies and other problems. 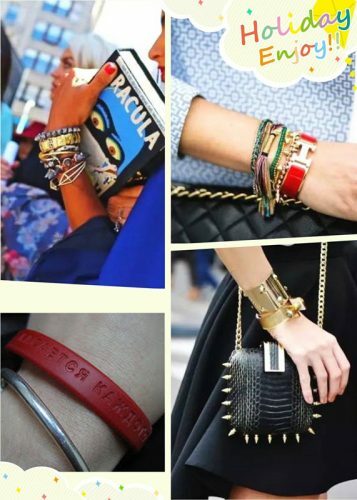 Compared to the accessories mentioned above, bracelets also are of diverse styles and materials. 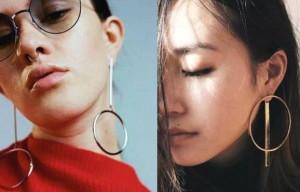 But the key point is that they don’t have to match face shape like earrings, and don’t have to choose according to occasion like finger rings as well, Choose any wristbands just depends on your individual style and preference. And many people even consider bracelets are optional. But in any case, we all have to admit that they are also absolutely a bonus point. 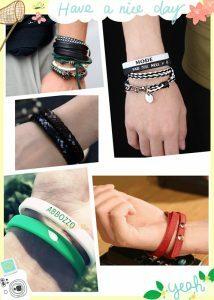 In addition to the common metal bracelets, there still has leather bracelets, silicone wristbands.Compared to metal materials, these two materials are soft and comfortable, but also an indispensable element of fashion. 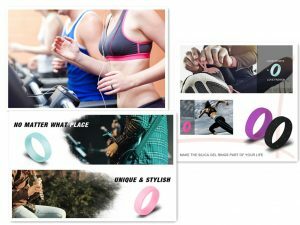 Like the silicone custom rings, leather and silicone wristbands can prevent allergies, and when you are not convenient to wear metal or other hard bracelets, these two kinds of wristbands are the perfect choice. 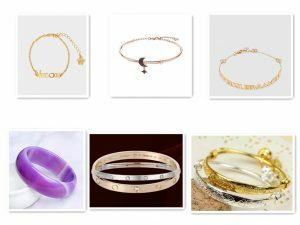 You can mix many elements together when you wear wristbands to make your whole outfit looks more stylish and fashionable, such as silver, rose gold, brass, platinum. All kinds of accessories are essential props in spring wearing. Accessories also have a miraculous magic, as if the mood will become ineffably wonderful when wearing them. Come on, get ready and add points to your spring dress! 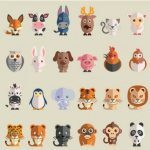 ← How To Make Homemade Stickers?